Bianca, underweight and nervous, was brought to the animal shelter by animal control officers. She is now ten pounds healthier and more playful, just like what a bouncy White Boxer mix should be. Dubbed the “Peter Pan” of dogs, Boxers are highly energetic, and as they grow into adulthood, they never lose the desire to romp and play like a puppy. ? Bianca is a perpetual cuddle bug and will try to wriggle into even the smallest space possible to get close to the ones she loves. 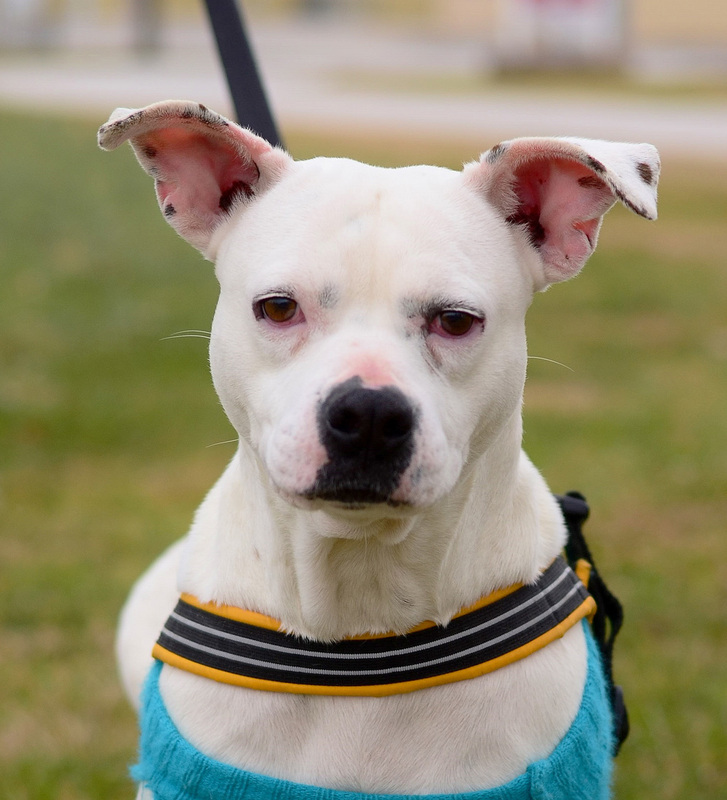 Always wanting to be the center of attention and to attract an audience, this people-pleasing pooch is sure to make a loving and loyal addition to any active family. ?4-year-old Lucky is a male American Longhair who prefers quiet and calm surroundings. He’s a refined, gentleman cat who enjoys the companionship of adults and other felines who share his appreciation of the finer things in life, like classical music and Fancy Feast. ?A good scratch behind the ears and regular brushing of his plush coat are all he needs to keep looking dapper and handsome. Set him on a comfy perch and you’ve just made all of his dreams come true! 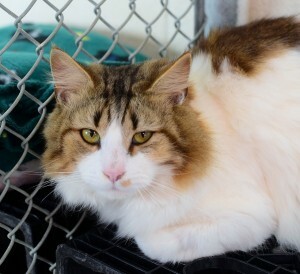 Visit Lucky at Petsmart and give this cat of quiet charm a loving home.